We survey how the classic milk, eggs, and toast combo fares around the Metro. 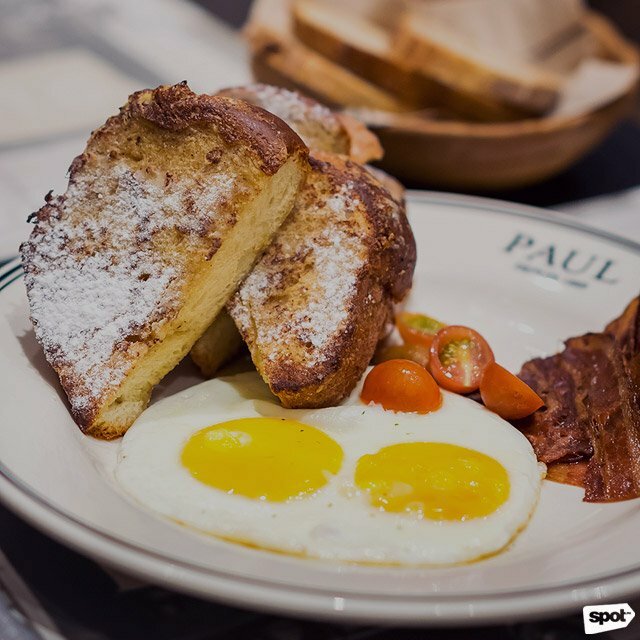 (SPOT.ph) If you know how to throw milk, eggs, and toast together on a pan, chances are you already know how to make your own French toast. But these restaurants take this filling treat up a notch by adding some flourishes and tasty toppings, on top of hinging on beautifully baked bread to create a classically delicious breakfast. For this list, we ranked the best ones in the Metro based on consistency, sweetness, and overall flavor. Go for this take on French toast if you’re needing something fluffy, fruity, and frothy, but make sure you have a friend with you. Dean & DeLuca’s brioche is tasty and wildly thick—unless you’re loading up on the carbs for a race or a run, you’ll definitely want to share this treat. 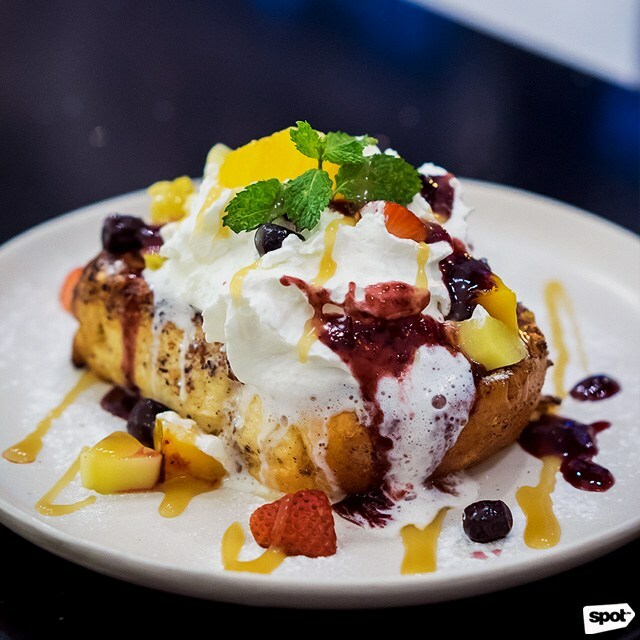 The French cream that tops the toast works perfectly with the fresh fruit and caramel drizzle that comes with the dish. See a list of Dean & DeLuca branches. La Creperie’s French toast selection makes for a good choice if you’re craving this all-time favorite brunch staple. Here, you can pick from a variety of sweet flavors like Mango Cream, Banana Walnut, La Pomme (or stewed apples), Strawberry, Mango Nutella, and Strawberry Nutella. 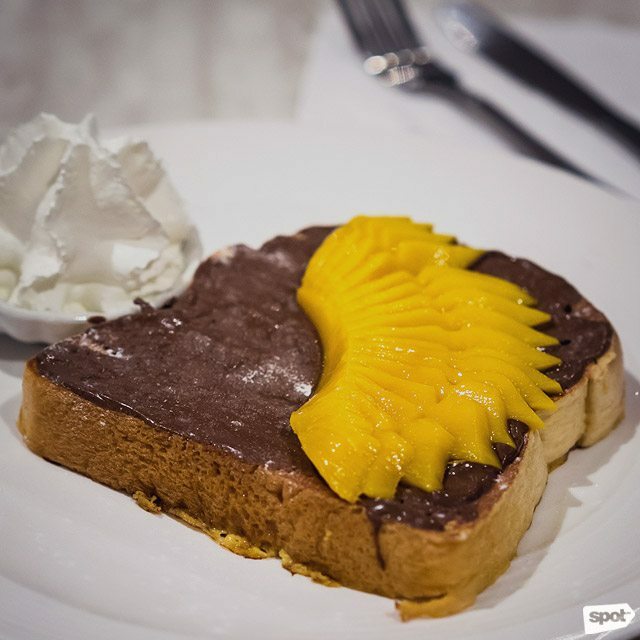 And if you’re wondering—the Mango Nutella is the bestseller. 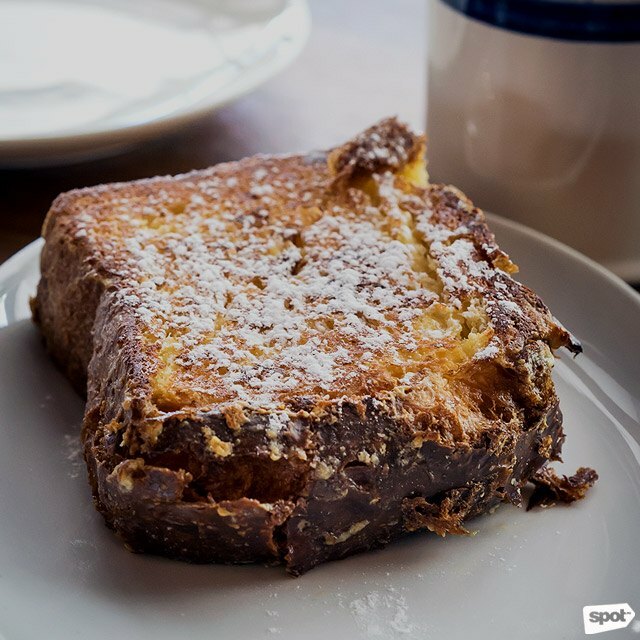 What makes this French toast unique is the batter it’s soaked in, and the bread, which uses challah, a special type of sweet Jewish bread. The result is a light and soft French toast, and because it’s done up in milk cream, vanilla, and orange zest, you get a markedly one-of-a-kind tangy yet refreshing taste. 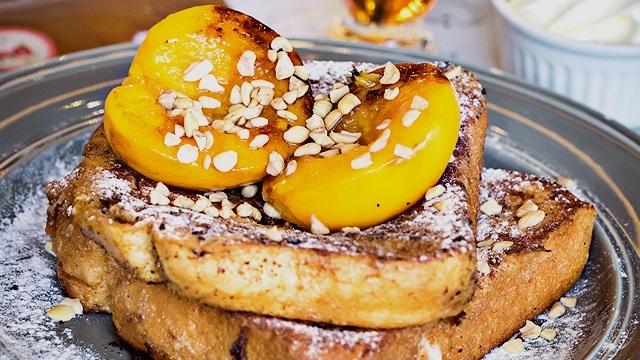 More dessert than breakfast, this take on the classic French toast combines fruity, syrupy peaches with incredibly soft, cinnamon-sprinkled brioche. Order this to share; there’s no way one person can handle all the sweetness. The cashews and lightly flavored cream are a nice touch, but the already tasty dish can do without them. 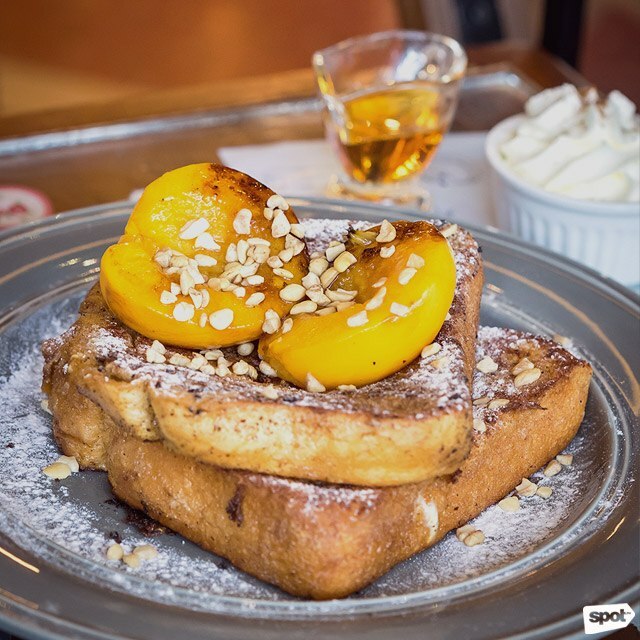 The folks from this charming little restaurant went above and beyond by reinventing the usual French toast. 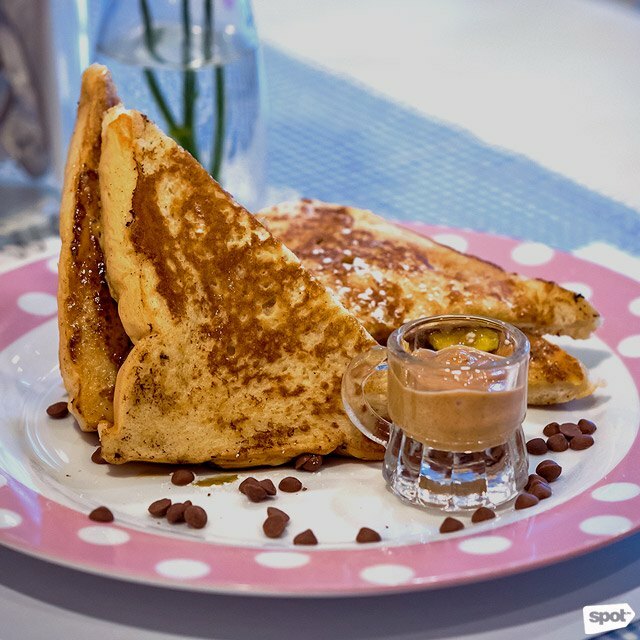 A kid-friendly treat that’s great for breakfast or dessert, Monkey Toasts takes the usual cinnamon French toast and tops it off with caramelized bananas and dark chocolate chips. The secret to this dish’s success is a whipped peanut butter that you’ll want to spread all over your toast. This version takes the brunch food we’re all used to and dials it up all the way to 11. See a list of Stacy’s branches. 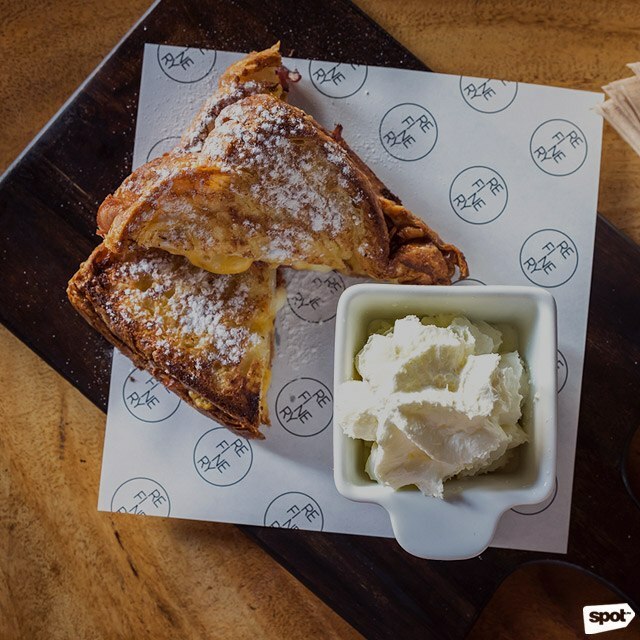 This bakery is a welcome addition to the Metro’s thriving restaurant scene, and you can expect no less than the perfect French toast from a boulangerie straight from France. 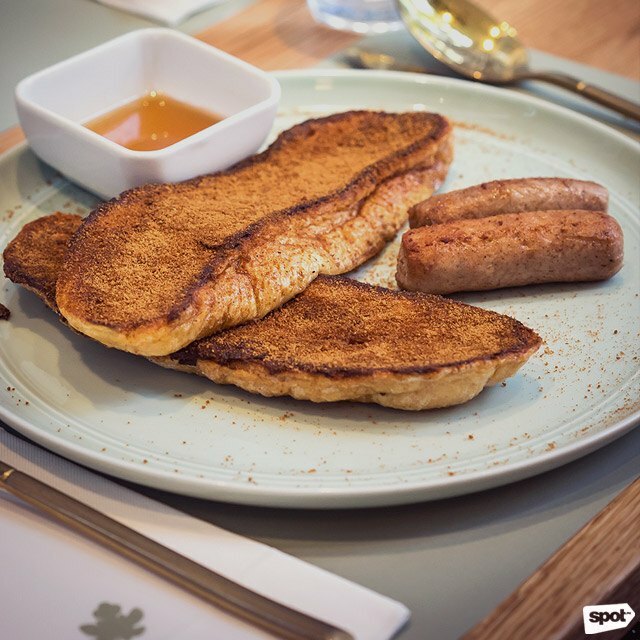 PAUL’s pain perdu is thick, heavy, and sprinkled generously with cinnamon. Instead of syrup, this treat gets its sweetness from powdered sugar and is accompanied by a hefty serving of egg, tomato, and bacon. 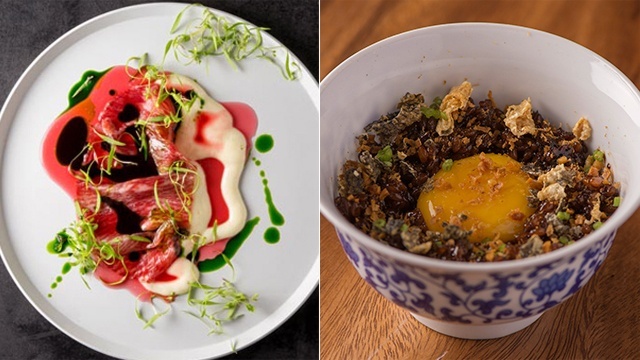 The secret to making the most of this dish? Slather on some of that famous French butter on your toast—it’ll send your senses straight to Paris. PAUL has branches at SM Megamall, Mandaluyong City; Power Plant Mall, Rockwell, Makati City; and Bench Tower and SM Aura Premier, Bonifacio Global City. A piece of bread isn’t much to look at, but when you bite into Wildflour’s brioche, you’ll know you made the right choice with your order. The thick brioche comes with powdered sugar and Vermont maple syrup, and is so tender it’s almost as though French toast and ensaymada got together and had a child. If you’re a fan of anything eggy, you’ll be pleased as you get to the middle of your toast. It’s good enough that you won’t even need to slather on the syrup. If you’re craving some protein, you can even add bacon or sausage for an extra P120. If you’re used to the soft, moist bread of a typical French toast, you’ll be surprised to find a delightful crunch to Early Bird’s breakfast creation. Ciabatta for French toast is a departure from the usual brioche, but its texture offers a welcome and unexpected change. You can expect no less than yummy eggs and bacon at this breakfast joint, and this French toast’s savory additions certainly don’t disappoint. 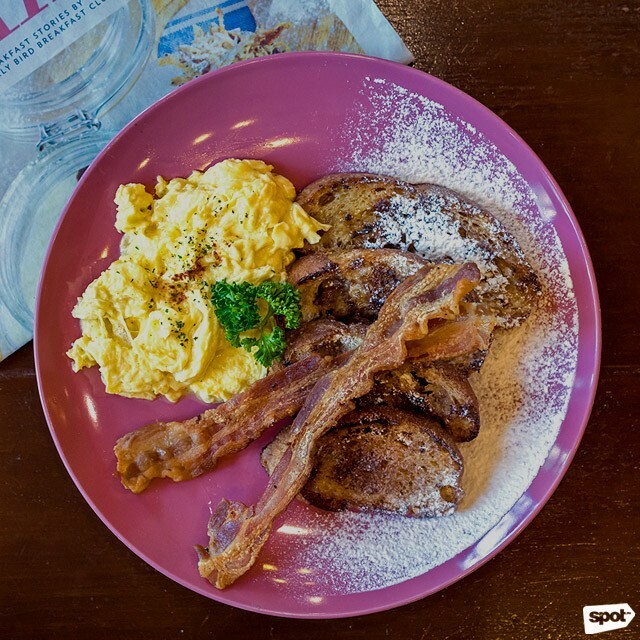 See a list of Early Bird Breakfast Club’s branches. Why stop at French toast when you can turn it into a grilled cheese sandwich? Refinery’s take on this typically sweet breakfast treat turns savory with its addition of maple smoked bacon, cheddar cheese, and mozzarella. And if that isn’t enough, this dish comes with a side of vanilla cream to make it all the more sinful. This French toast is then sprinkled with just enough powdered sugar to elevate its sweetness. But if you’re looking to balance everything out, ask for some extra syrup for the ultimate indulgence. Refinery has branches at Promenade, Greenhills, San Juan City; and Rockwell, Makati City. 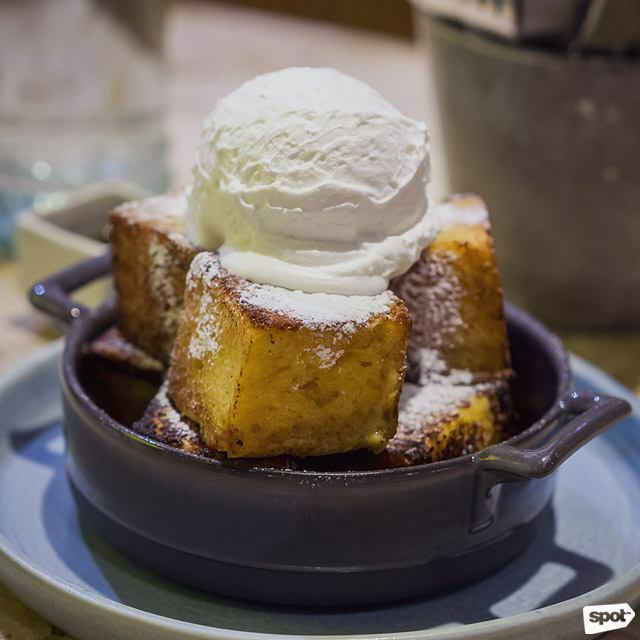 Before you even sink your teeth into Le Petit Soufflé’s take on the French toast, your eyes will be feasting on the visual treat this dish offers. Hefty cubes of brioche toast are piled one on top of each other and garnished with a hefty scoop of whipped butter in a rustic pan. Also the restaurant’s bestseller, this dish is fluffy and light and best because of its burnt edges. Start off with this classic flavor and check out their matcha and taro options on your next visit, too. Le Petit Soufflé has branches at Century City Mall, Makati City; and SM Mega Fashion Hall, Mandaluyong City. There’s something about the batard bread Harlan + Holden Dine uses that makes it the perfect base for the best French toast in town. Browned and golden, soaked in eggs and cream, and topped with just the right mix of cinnamon and coco sugar, it’s adequately sweet and has a mysterious zing and saltiness to it. What balances out this breakfast are the country sausages that come with it, complementing the sweetness of the maple pancake syrup and whipped butter so well that you’ll want to slather all over your toast again and again. 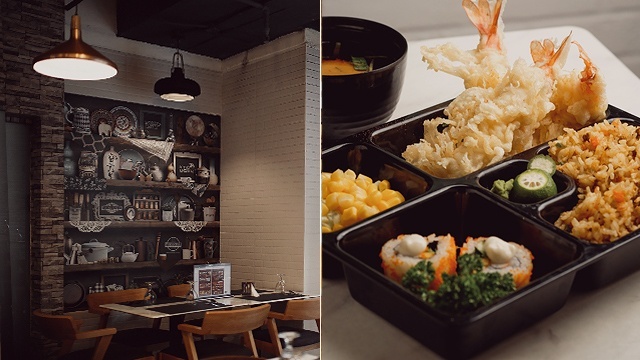 Harlan + Holden Dine has branches at Rockwell, Makati City; and Greenbelt 3, Makati City.